Being an entrepreneur, in many ways, is about having “guts” and stepping outside your comfort zone. Most successful entrepreneurs realize this early and use it to their advantage. 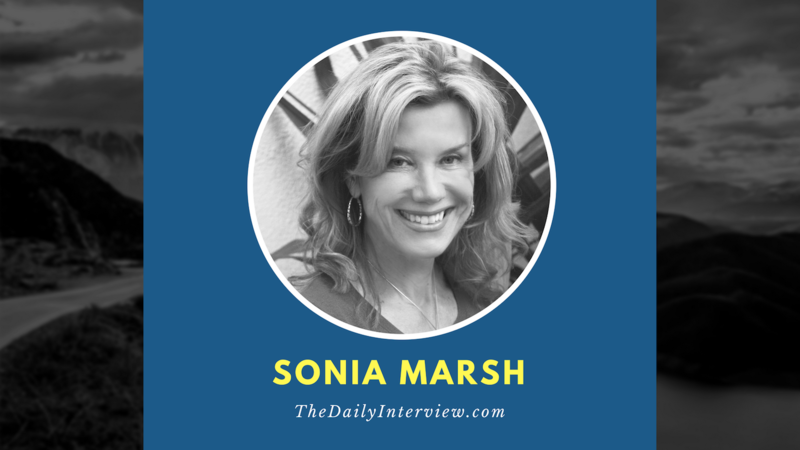 Sonia Marsh is an independent author who has definitely lived a “gutsy” life. It all began when she and her family uprooted their lives to live in a hut in Central America. 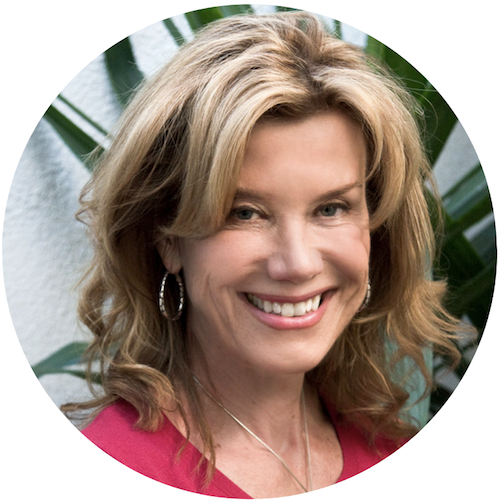 This eventually led to a self-published book, which helped propel her business to where she also does coaching, speaking, and participates in other events. In this interview, Sonia not only tells us about her adventurous journey, but also offers some great advice on how self-published authors should promote their books. You’ll love her valuable tips on stepping outside your comfort zone. Sonia, I appreciate what you’ve done as an self-published author and at your blog, Gutsy Living. Tell us about your background and career as an author. Eric, I did not plan to become an author until I embarked on our family’s “Gutsy” adventure. In 2004, we uprooted our affluent teens to live a simple life in a hut in Belize. Many thought we were crazy, others were envious of our escape from the “real” world, and my friends suggested I keep a journal and turn it into a book. After one year, we had to return to the United States for various reasons, and I started taking classes, attending writers’ conferences, and learning the craft of writing. I had no idea it would take seven years to turn my manuscript into a published book. A small press pursued me for years, but in the end I decided to indie publish, and I set up my own publishing company, Gutsy Publications. The name “Gutsy” came from others calling me “Gutsy.” I decided to start blogging with the “Gutsy Living” theme, and then trademarked the My Gutsy Story® anthology brand. I want it to become the next Chicken Soup for the Soul. I published the second My Gutsy Story Anthology: True Stories of Love, Courage and Adventure From Around the World (affiliate link) in 2014, and a third one (affiliate link) the year after that. My goal is to empower authors to become their own marketing department and their own public relations agency. Most of us are not celebrities with millions of fans; nor do we have thousands of dollars in our bank account to hire a full-time PR person. So I help authors learn how to become a celebrity on a tight budget. What do you consider to be your greatest success so far in your career as a writer and business owner? I enjoy building online communities and making people feel they belong. I started Gutsy Indie Publishers Facebook group, which now has 1,000-plus mostly indie authors. This group is for writers, publishers, and anyone in the business who wants to help others. I never realized I would be speaking at conferences about how to become a successful author entrepreneur. I love speaking to writers about blogging, how to sell more books, and unique ways to promote that they may not have considered. What has been your greatest challenge that you’ve overcome in getting to where you’re at today? How do you become visible? Whether online or in person, it takes time, perseverance, and effort to have people know who you are and to get loyal followers. Another challenge is to move away from offering everything for free and to charge for your expertise. I hired a business coach to help me become a marketing coach for authors. I still find this challenging because I enjoy helping others but also need to make a living. Many people have the skills and drive to write a book, but failure to market and sell the book the right way is probably what keeps a lot of people from finding success. Can you share your top two or three book promotion strategies for self-publishing authors? YouTube videos are effective tools for promoting your books. I have done several interviews where I talk about my books or read excerpts from them, and one of these video interviews, “Expat Life in Belize,” has received been viewed more than 160,000 times. Submit your book for awards. Winning an award is a great way for an indie author to promote a book online. Great tips! So let’s switch gears here. You’ve talked about getting people out of their comfort zone, and although this can have applications in many areas of life, I’m particularly interested in how it relates to entrepreneurship. What do you think it takes for someone to muster up the guts to execute a business idea? In general, writers prefer to sit at home and write. They tend to be shy and hope their books will simply sell themselves. Wrong! As Joanna Penn has stated — and I saw your recent interview with her here on The Daily Interview, Eric — you have to get out there and speak about and promote your books. If you’re shy, get over it, she says. I agree with her. No one knows your book better than you do, and how is anyone going to hear about your work if you don’t promote it? Even if you have the budget to hire a professional PR company, they still expect you to talk about your book on radio and TV interviews. At an Independent Book Publishers Association (IBPA) conference I attended, presenters stated that writers have no choice to opt out of social media. If you want to sell books, then you have to use social media. Offer contests on your website. Guest post and do written interviews on other sites. Form those important relationships with other writers online. Share helpful articles with your readers. Practice speaking in front of the camera and gradually become more confident. Offer podcasts on your site so fans can hear your voice. Practice an interview with a close friend and get used to speaking. Take a class on public speaking. Attend writers’ conferences and network. Attend a writers’ group and gradually get out of your comfort zone. If you had to take your best advice for author entrepreneurs and put it into one sentence, what would that be? Authors need to think of themselves as being a brand, and their book as a product. Finally, what are your favorite online resources as an author? I follow The Book Designer, which has many helpful articles, especially for indie authors. I use Google Hangouts for video interviews. And I subscribe to Webinars OnAir for my own webinars.